When you look at a gorgeous bag in store windows or scrolling through websites in search for the perfect bag, have you ever wondered the story behind them? 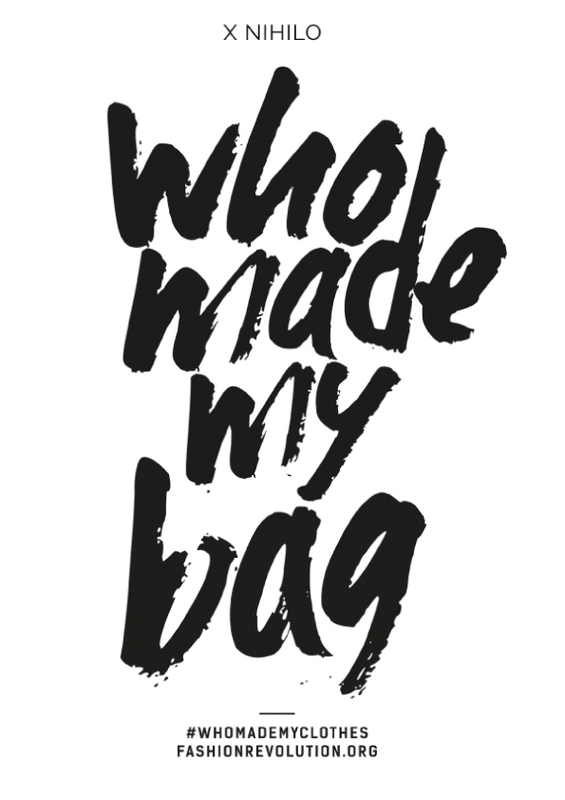 And you asked – Who made my bag? It never ceases to amaze us at X NIHILO how much effort goes into each of your bags. And to think that each bag is made as a byproduct of someone’s intelligence, it is astounding. But, as you probably know, the reality is not that picture perfect. It broke our heart to know that a lot of irresponsible parties treated workers poorly to deliver beautiful merchandise while distorting your views of the truth with sophisticated branding and flashy boutiques. This is where we have realised we need to take action to fight for the more significant cause. X NIHILO joins the #WhoMadeMyBag campaign by Fashion Revolution. This campaign aims to raise awareness of the most heart-wrenching issues in the fashion industry, to be the advocate of positive change, and to celebrate the fight for a more ethical and sustainable future for the industry. This campaign allows us, as fashion designers, to work closely with our suppliers. This does not only mean that we can work together to create beautiful and quality arm candies to deliver to you but also guarantees the well-being of the work environment for the workers as well. So you can delight yourselves in X NIHILO bags guilt-free; knowing that every effort put in that bag is made without compromising the welfare of another. You can join this campaign by following these two easy steps and your chance to win a $100 voucher! You will receive a reply with #imadeyourbag to answer your question through tagged photos on our social media. The winner will be announced on our social media story on 30th November 2018. Since our goal for this campaign is not merely to join the bandwagon, feel free to ask us questions regarding the process of making your bag. We’d love to answer any questions you may have for us! We really hope that you can join us and help celebrate this journey to a brighter, more sustainable, and more ethical future for fashion!